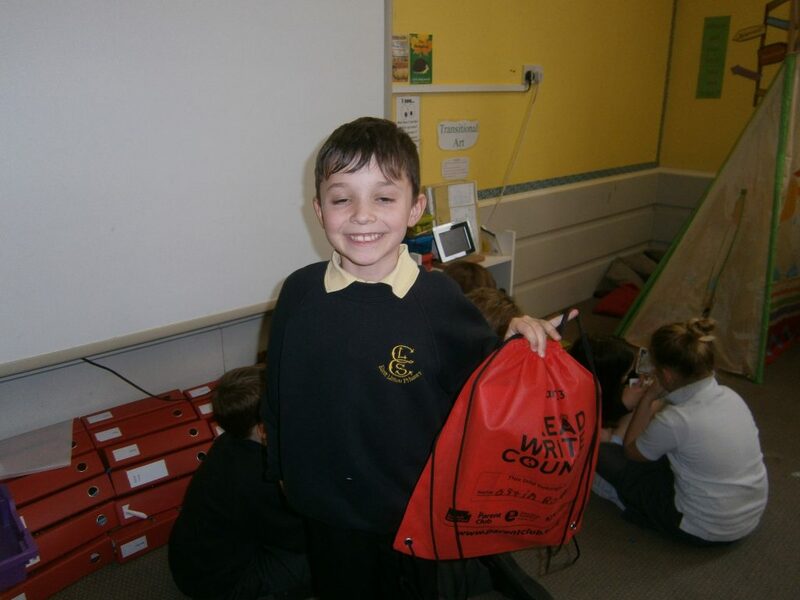 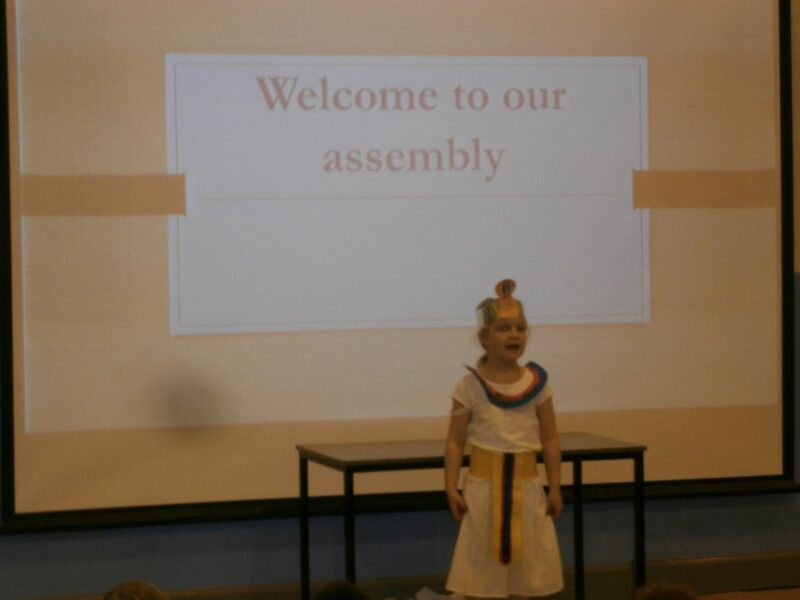 We have finished our project work on the Egyptians and we finished in style. 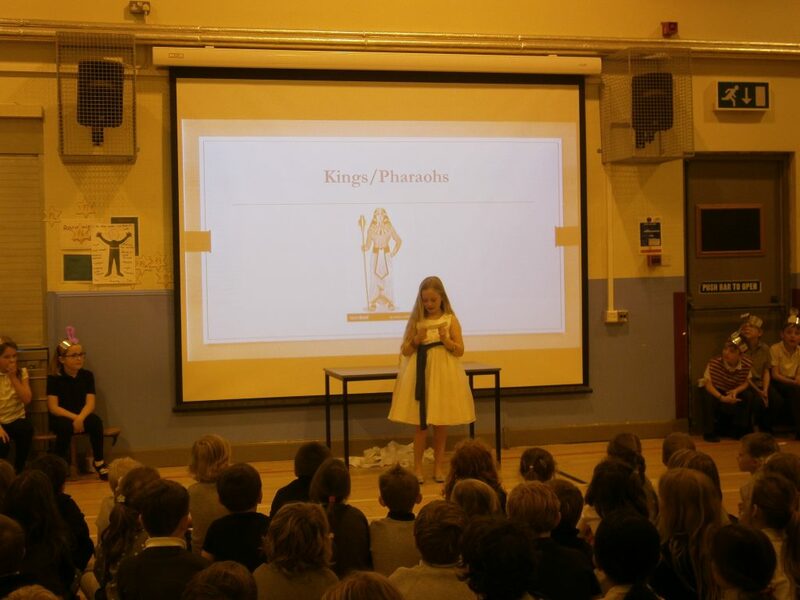 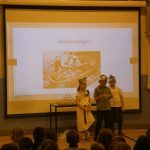 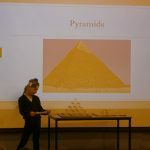 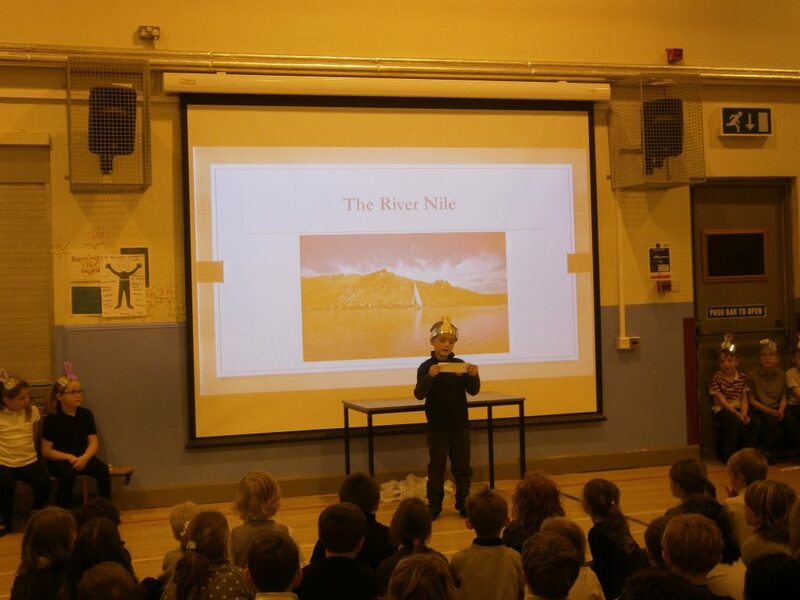 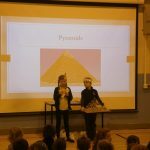 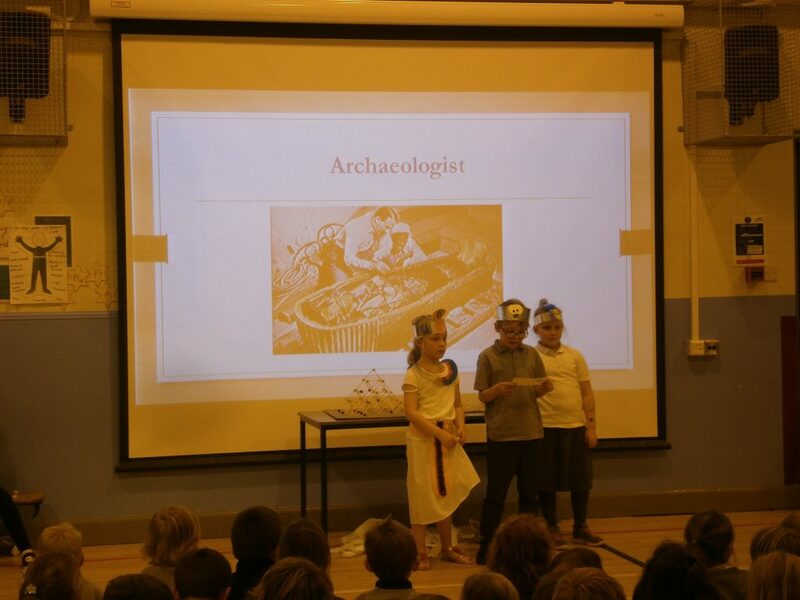 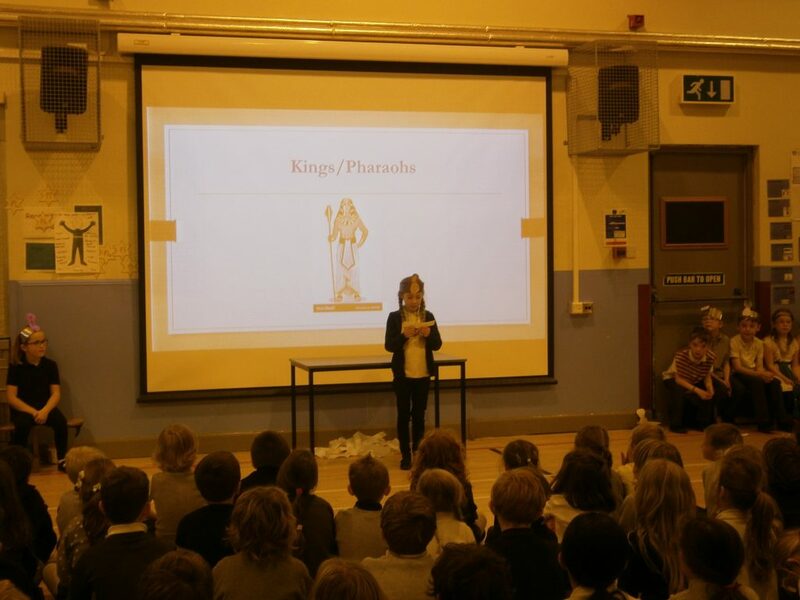 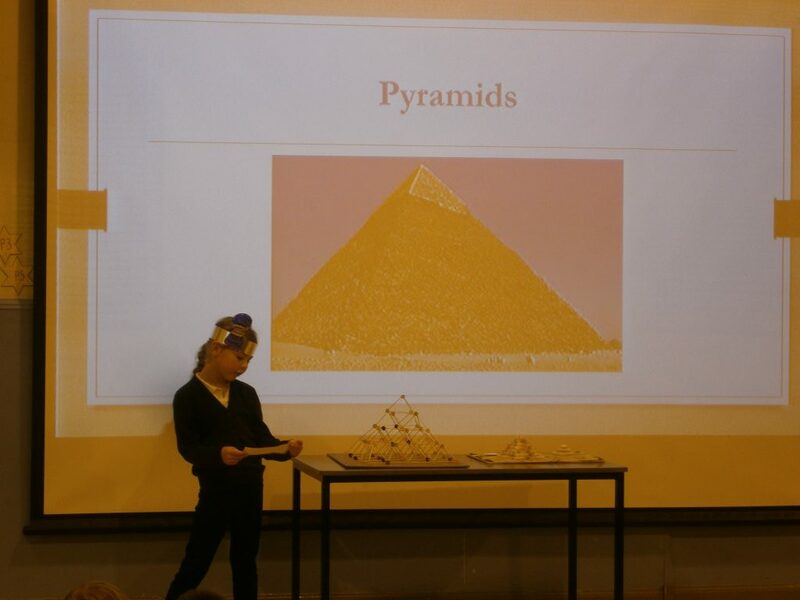 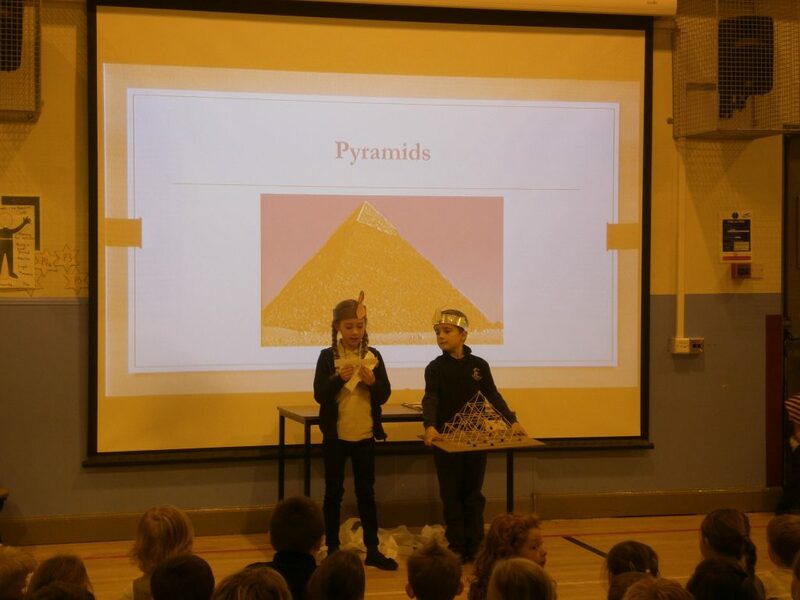 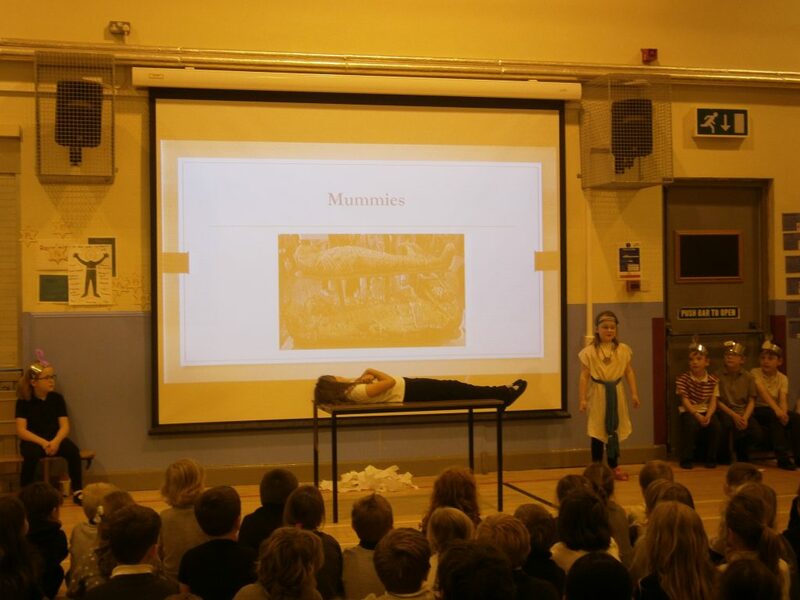 We presented our learning to the school with an Egyptian assembly and shared our learning with family and friends with an Egyptian open session. 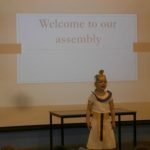 The children displayed excellent presentation skills in their assembly and were great at teaching their adults all the skills they have learnt during our open session. 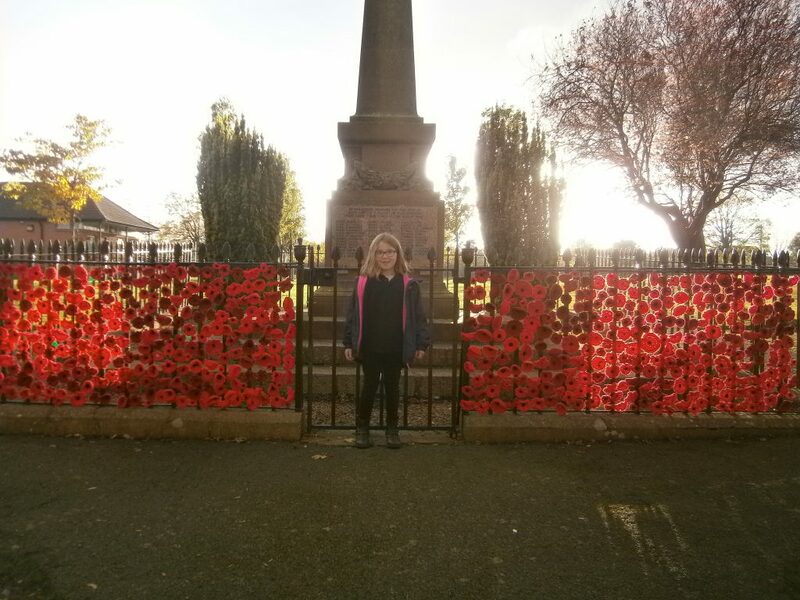 We have also been remembering the fallen with our remembrance work, we visited the War Memorial in the village to have an understanding of the impact WW1 and WW2 had on our village. 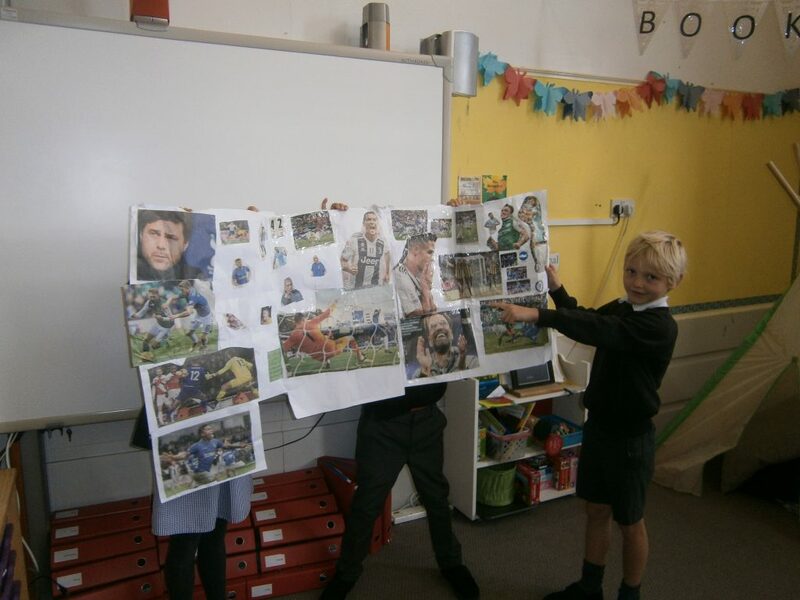 Jake has been educating us all about football players and teams by sharing his detailed work from home. 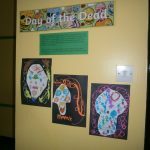 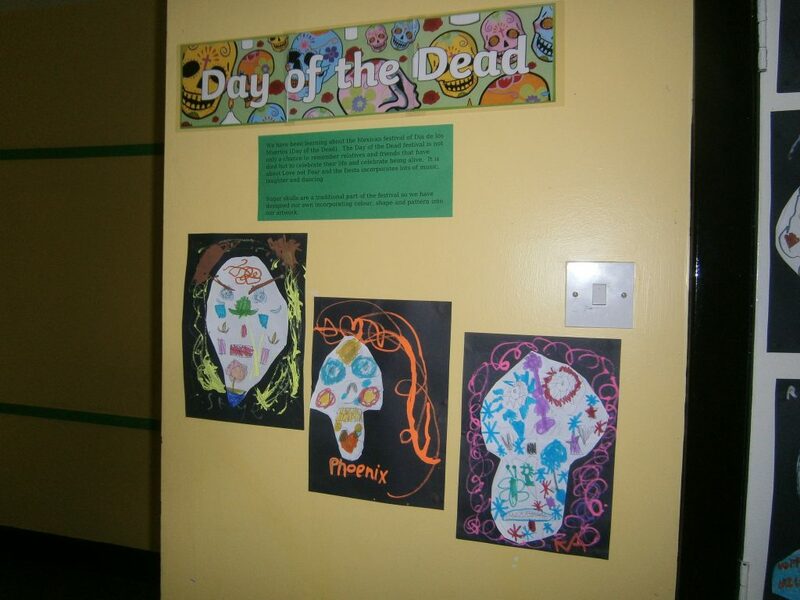 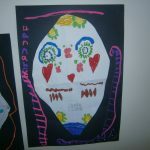 For Halloween we looked at the Day of the Dead festival and learned about the customs and traditions which surround it, we then made our own sugar skulls. 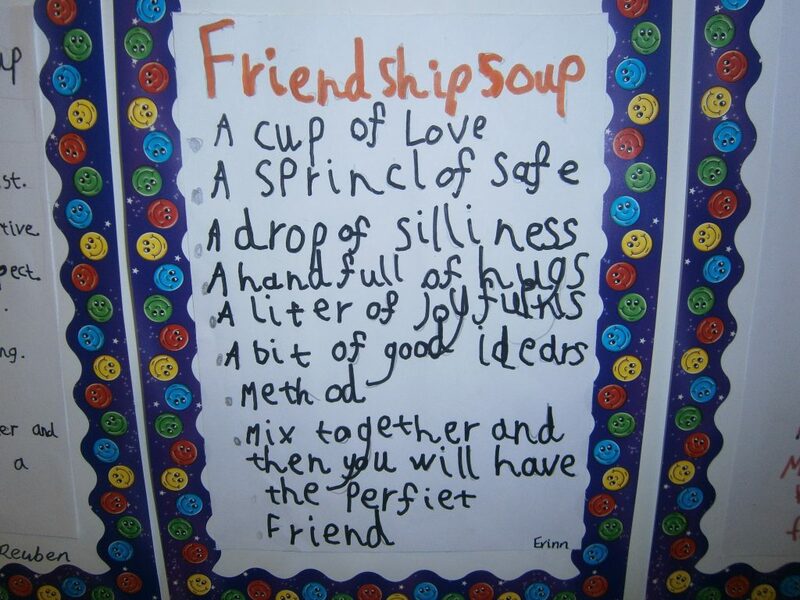 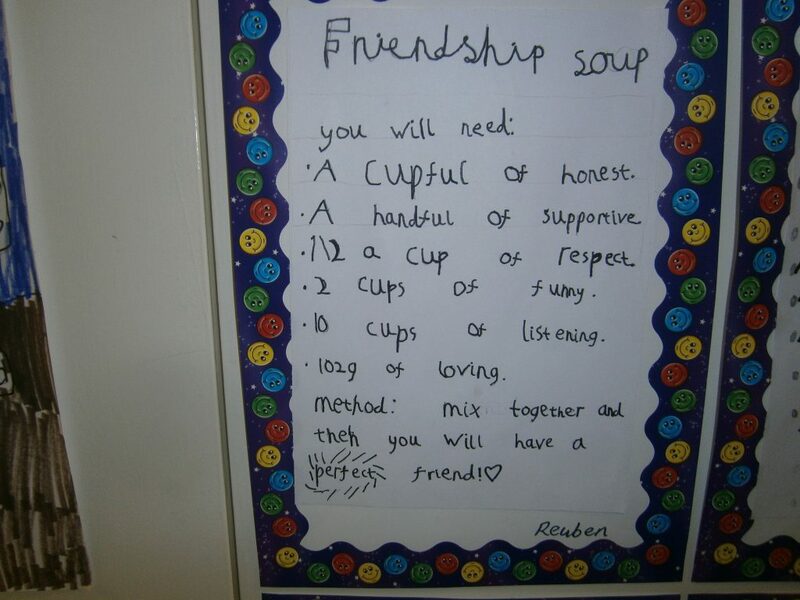 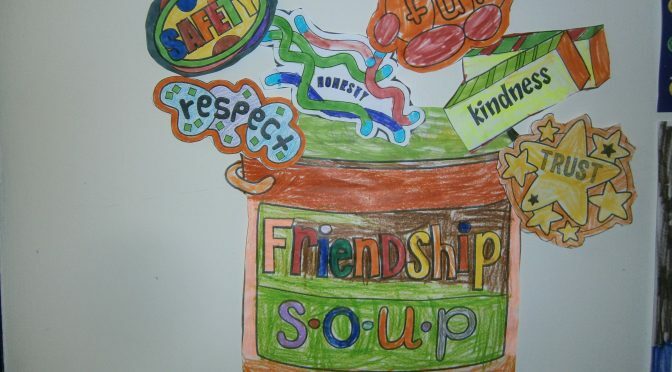 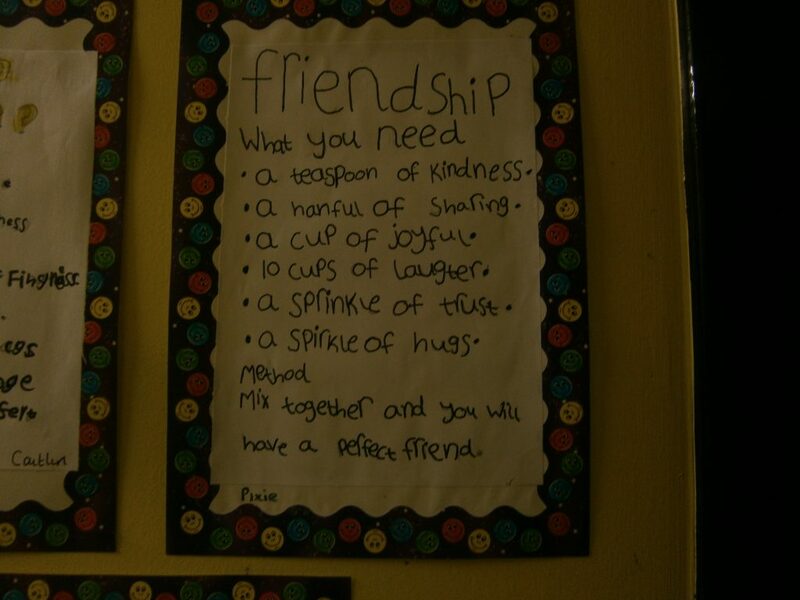 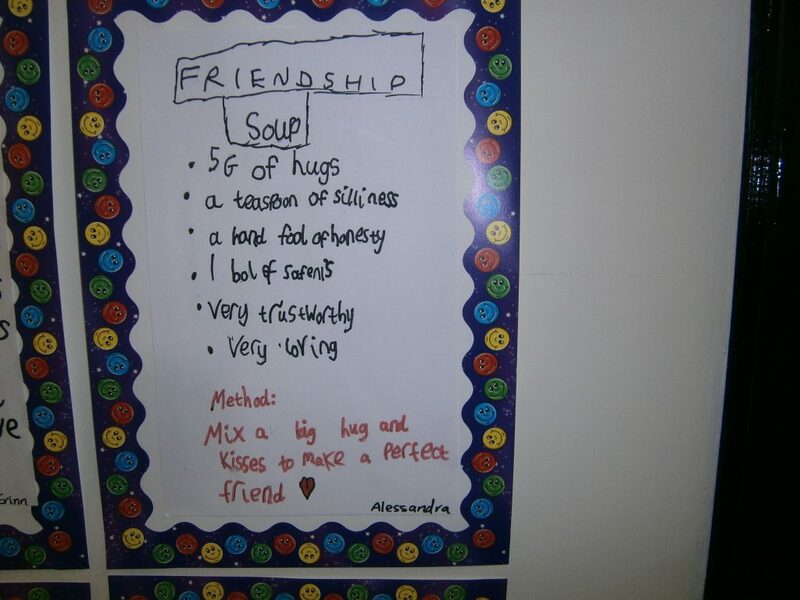 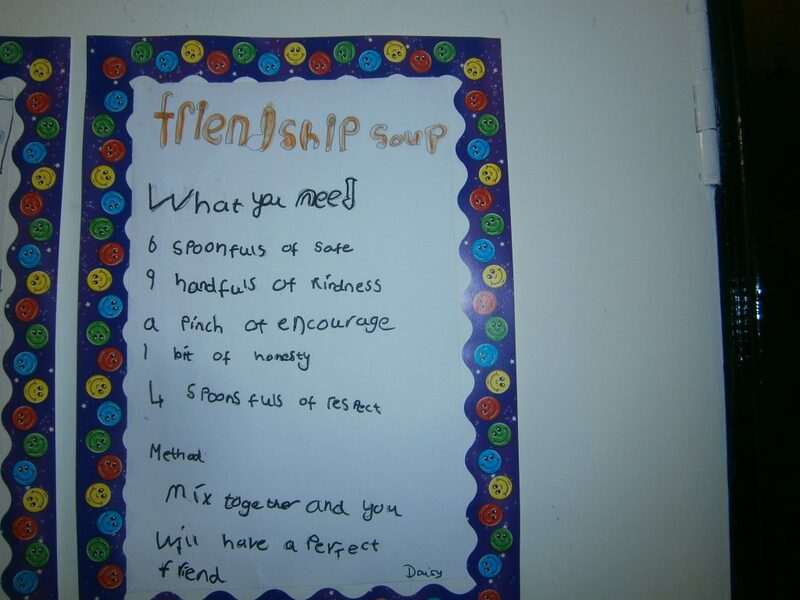 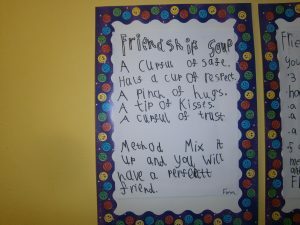 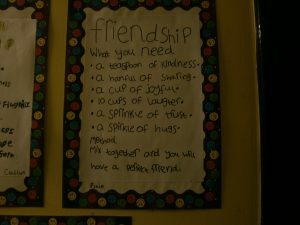 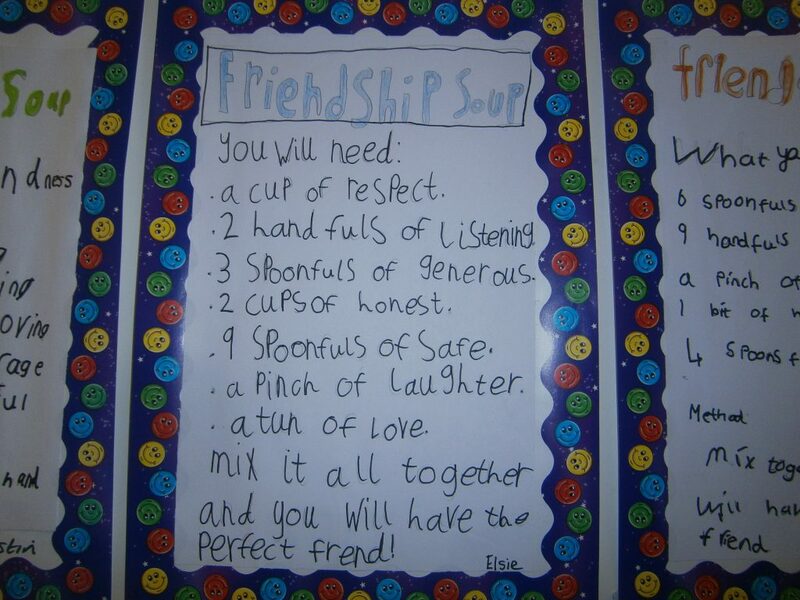 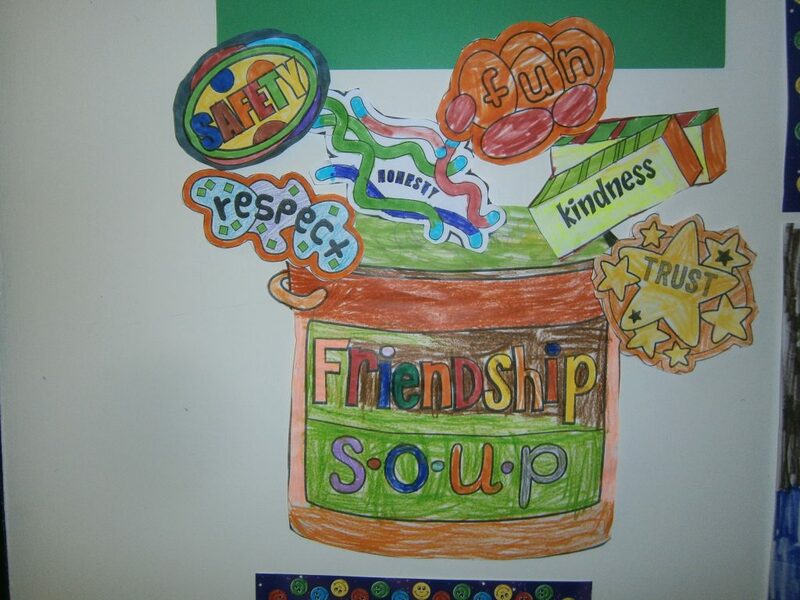 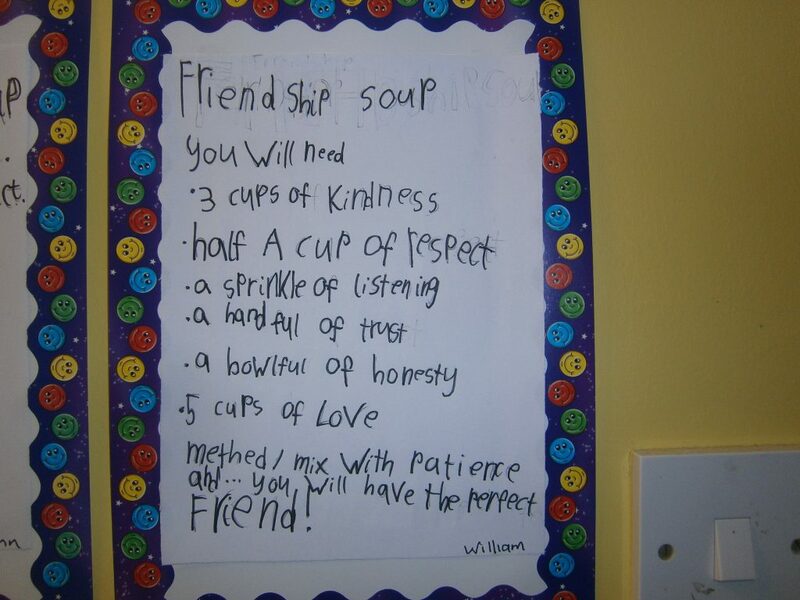 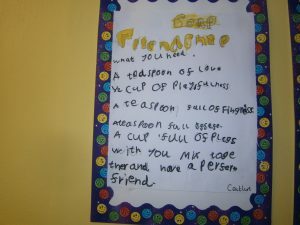 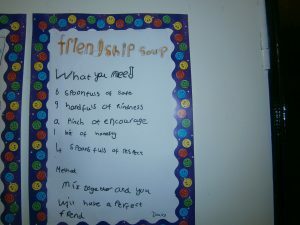 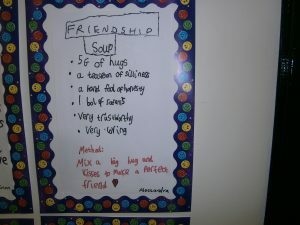 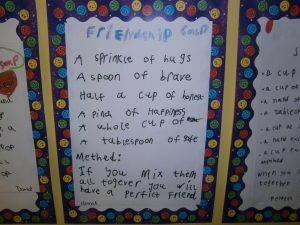 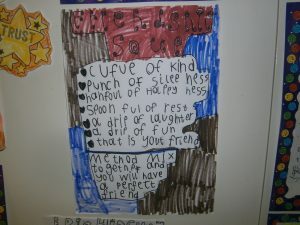 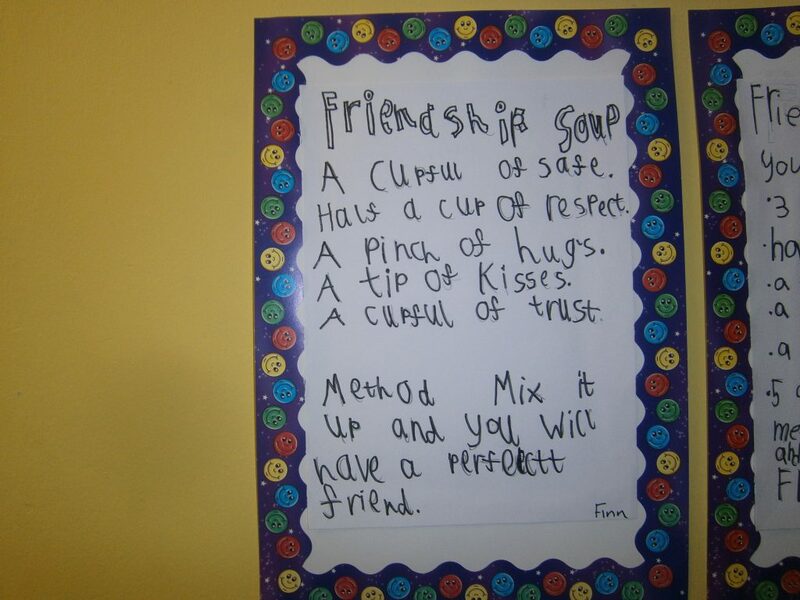 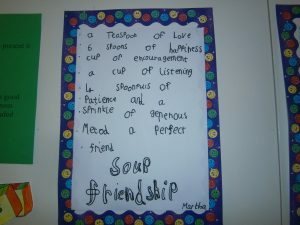 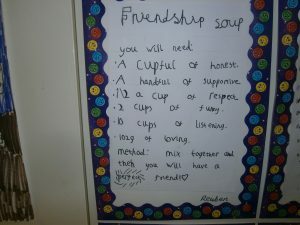 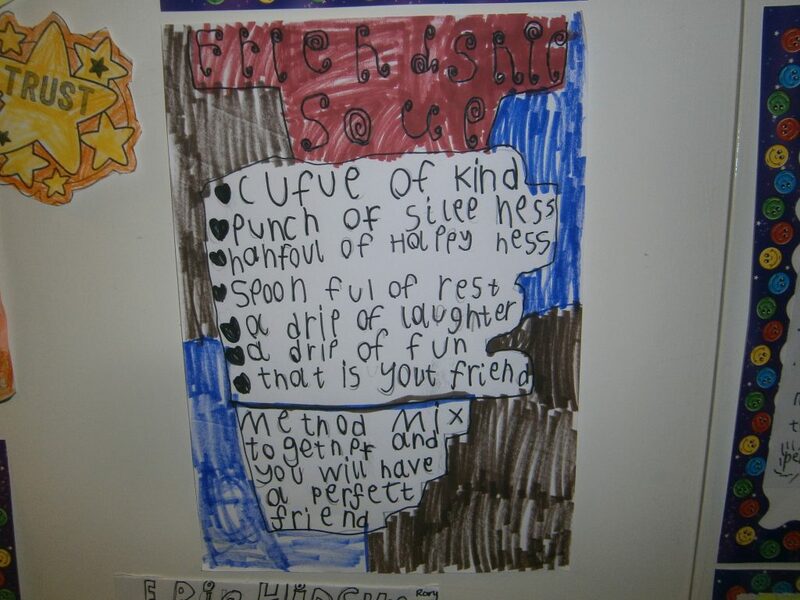 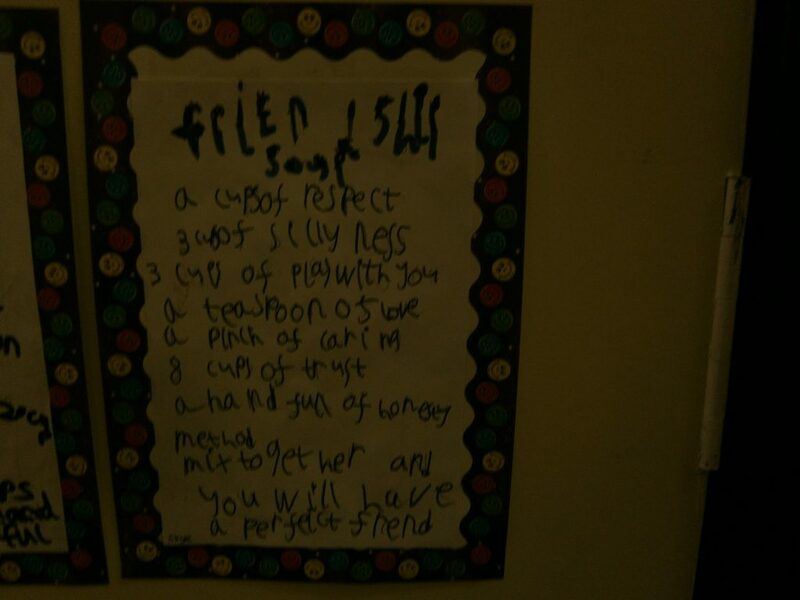 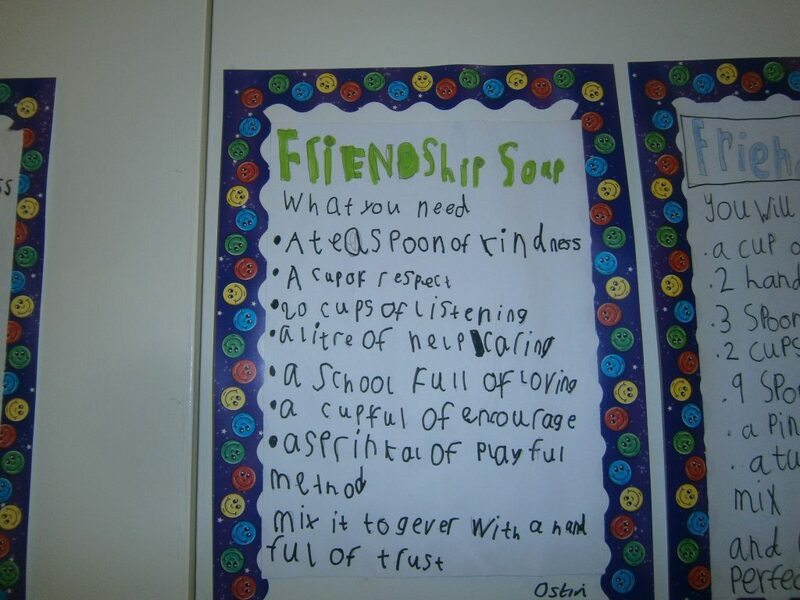 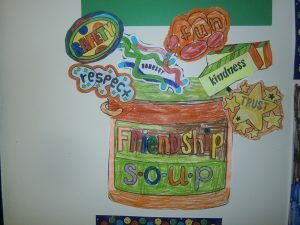 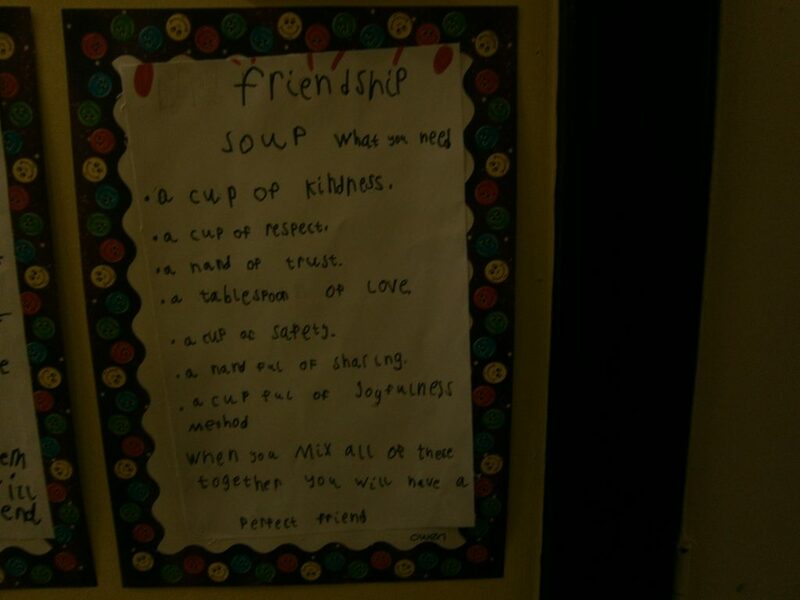 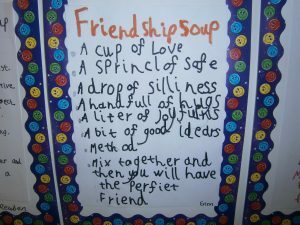 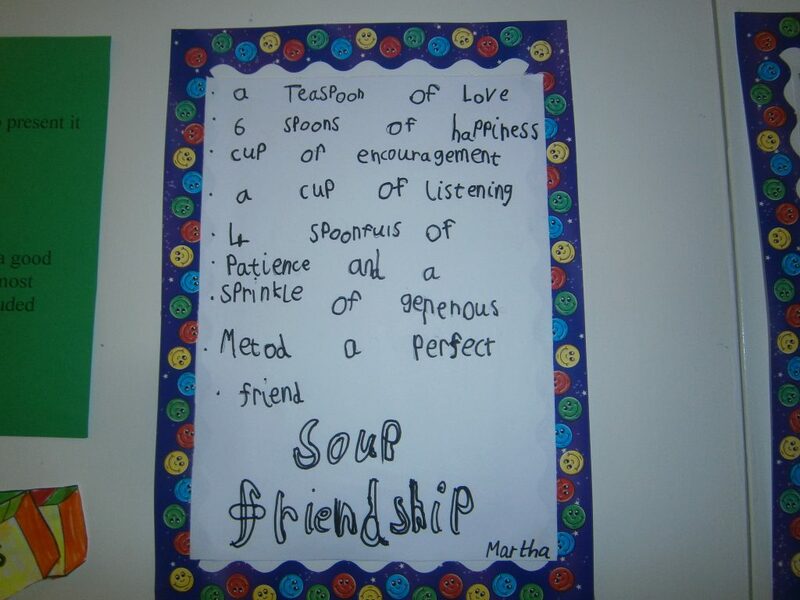 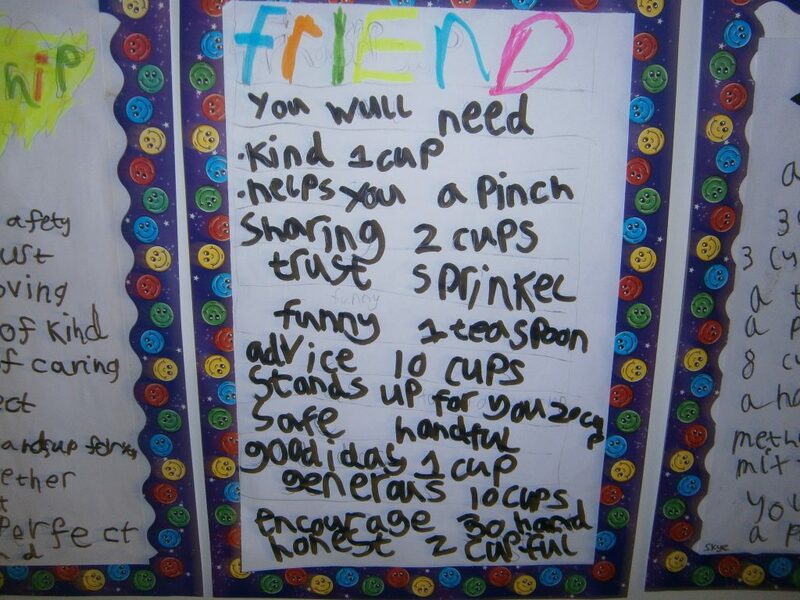 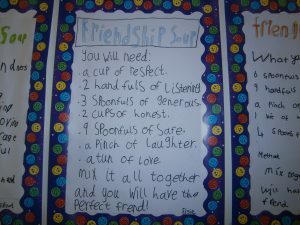 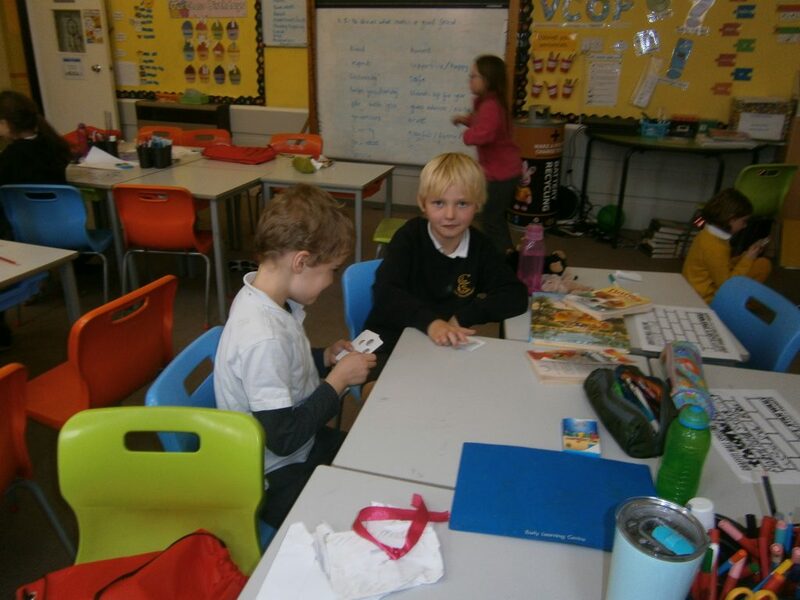 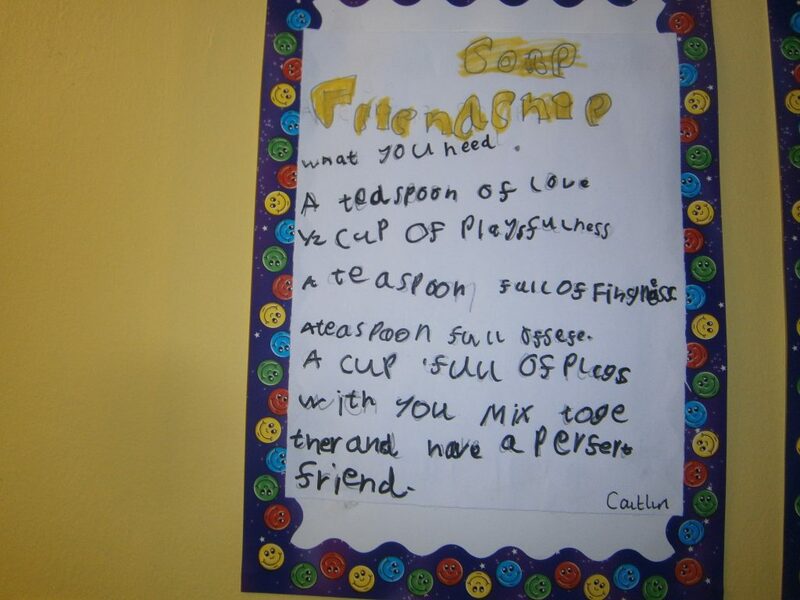 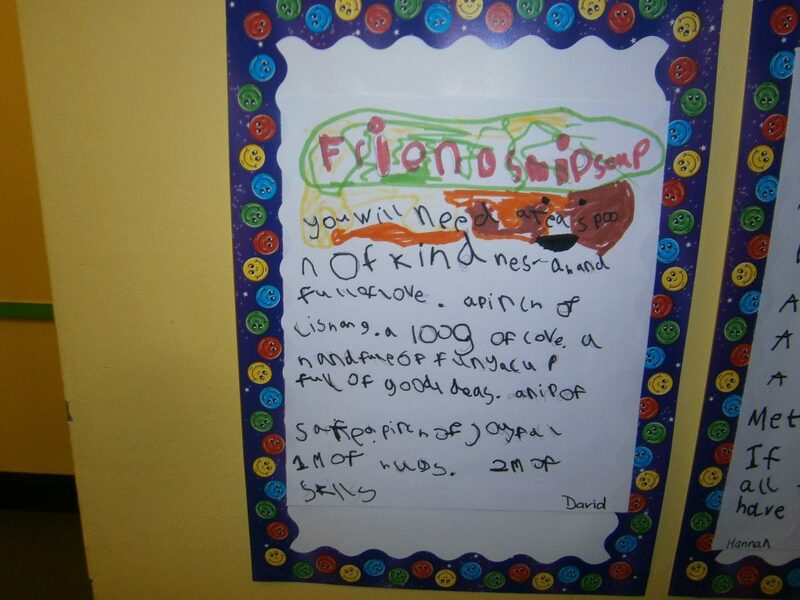 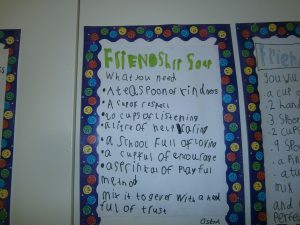 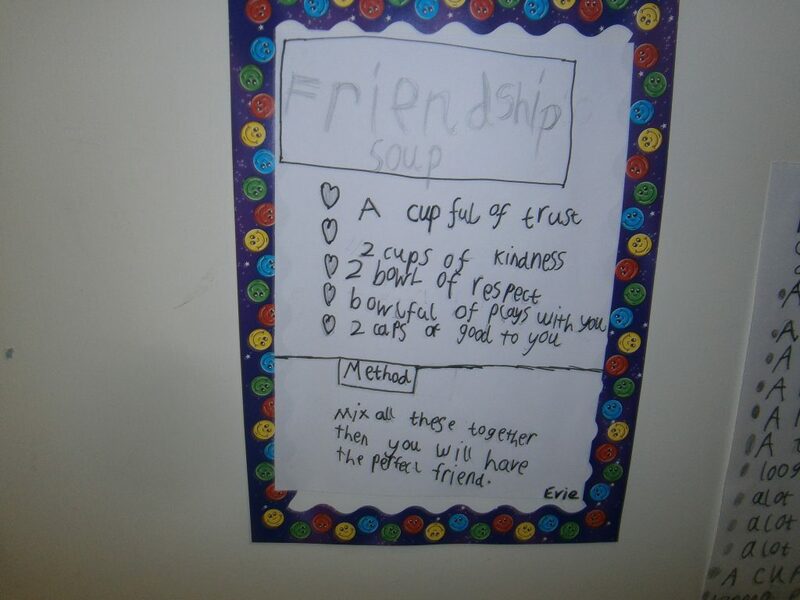 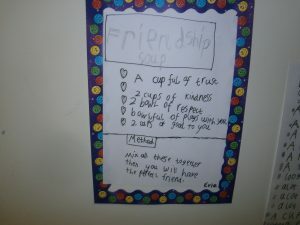 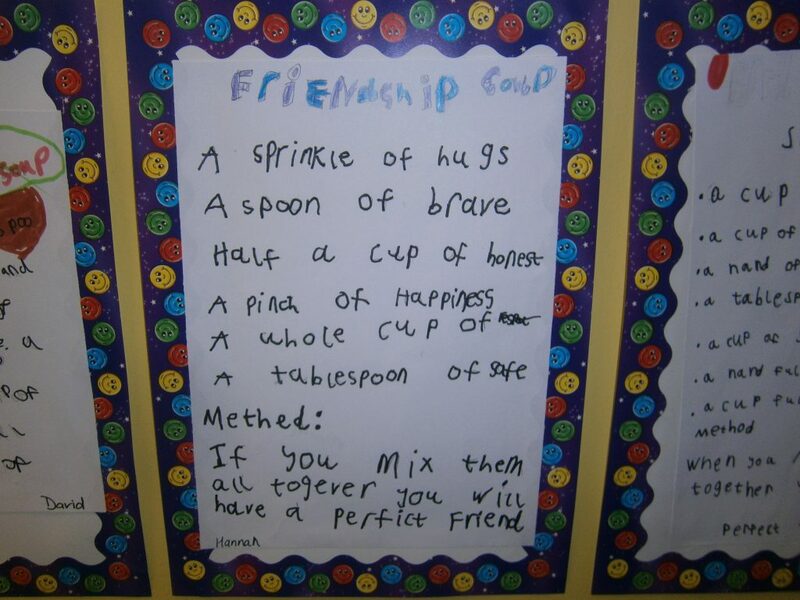 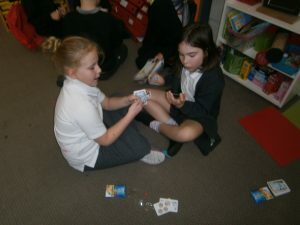 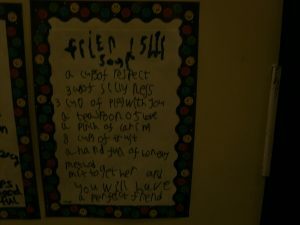 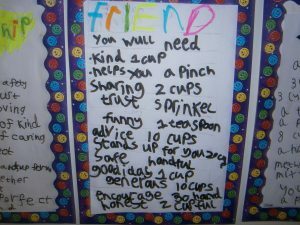 For anti-bullying week we talked about the importance of friendship and the qualities which make a good friend. 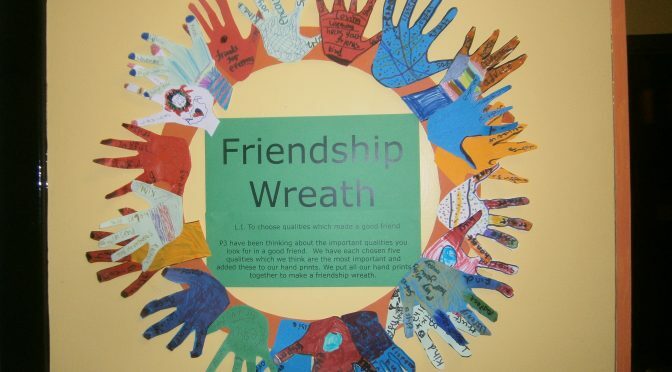 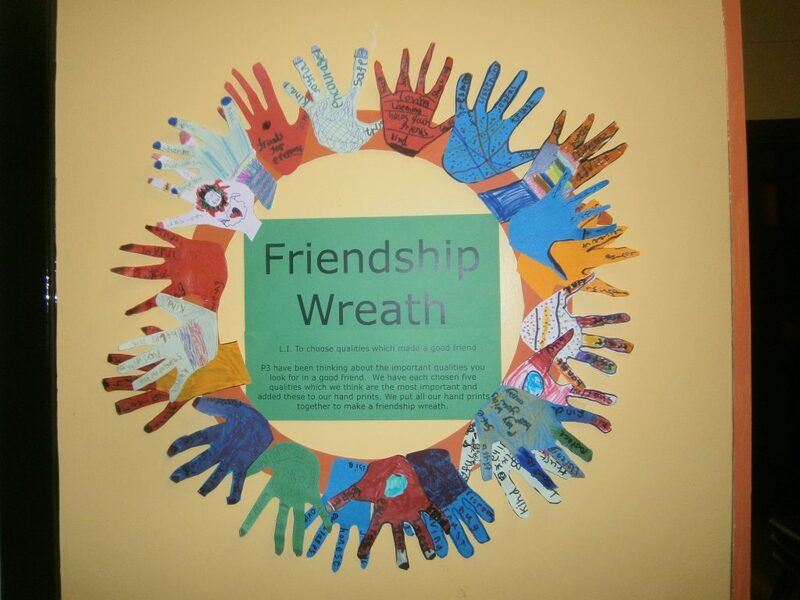 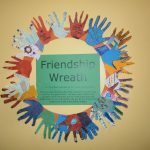 We then picked the five qualities which we think are most important and put them on a hand print and put them all together to make a friendship wreath. 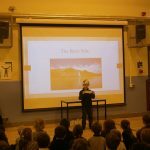 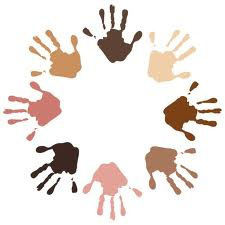 Primary 7 kicked off “Diversity Week” early yesterday, with an excellent Drama Workshop all about racism, based on the story of Rosa Parks. 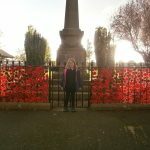 Thank you, Shona! 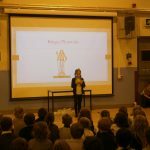 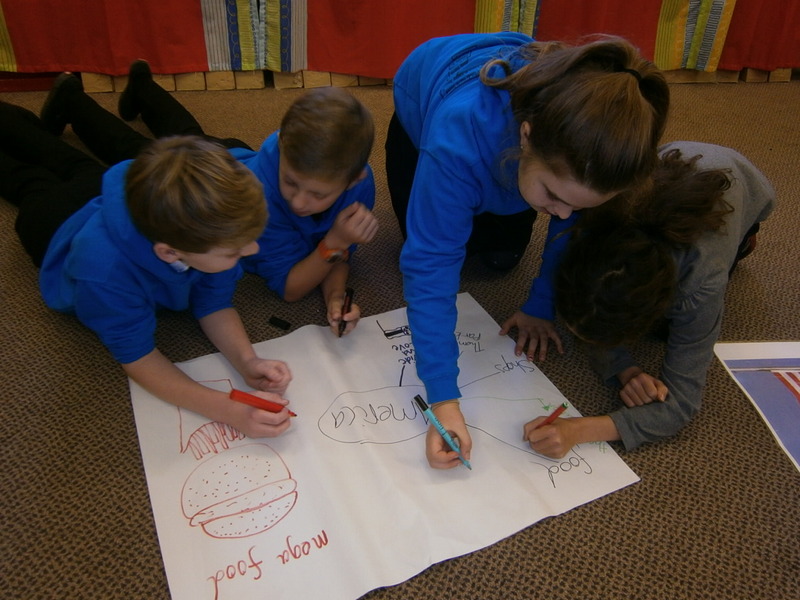 HOW WOULD YOU FEEL IF……..
As part of Antibullying Week the older pupils took part in a most thought provoking Drama Workshop……. 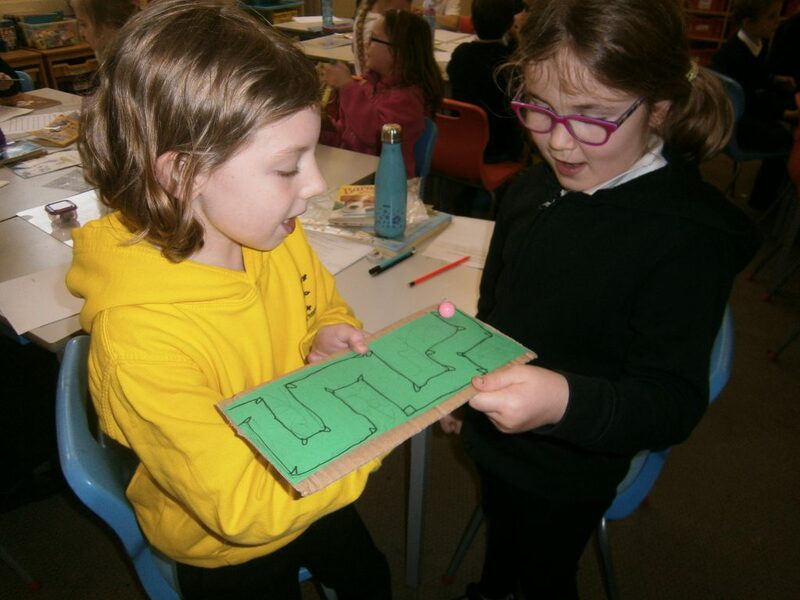 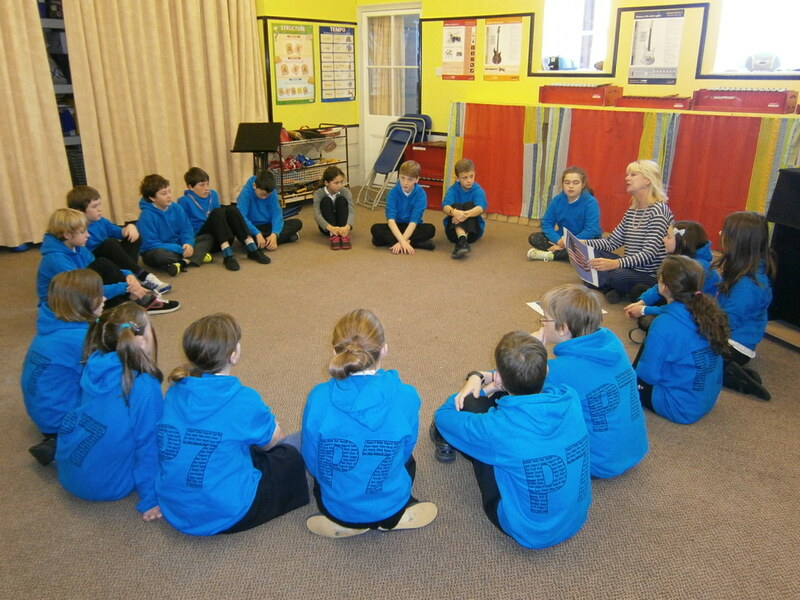 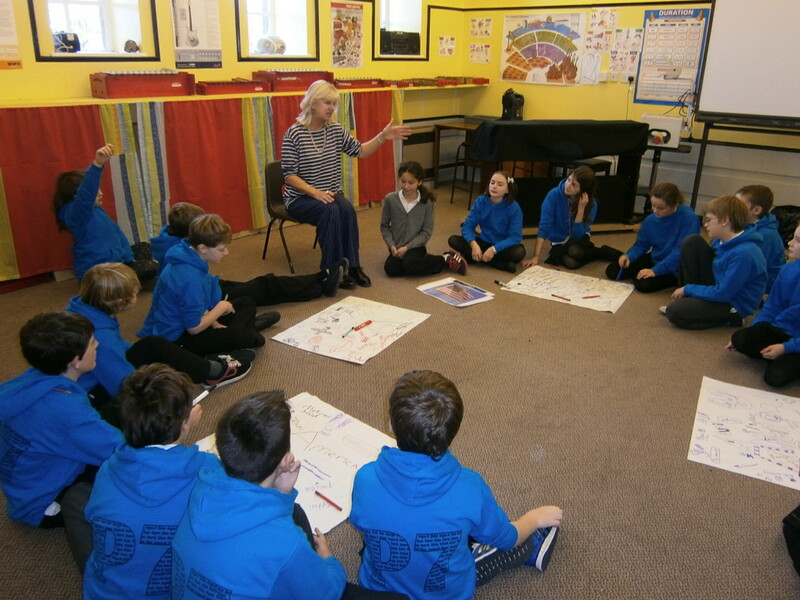 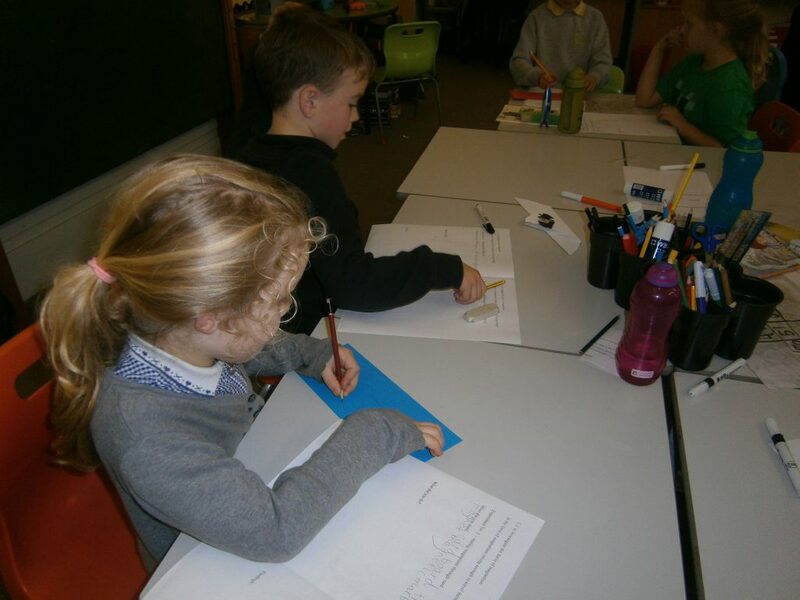 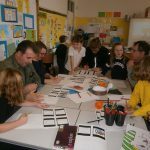 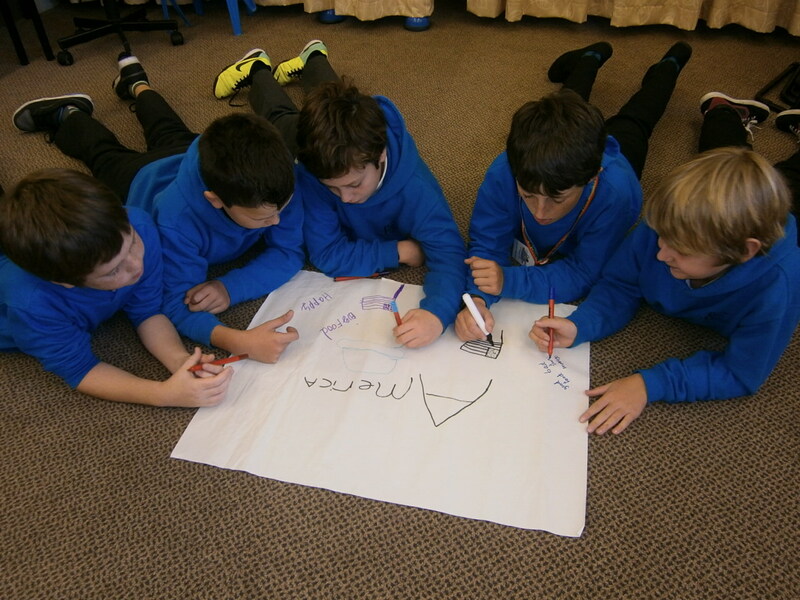 Last week, Primary 7 pupils chose to participate in a research project conducted by the children’s charity Beatbullying – a charity focused on preventing bullying in schools and communities. 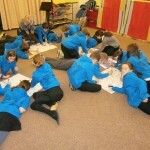 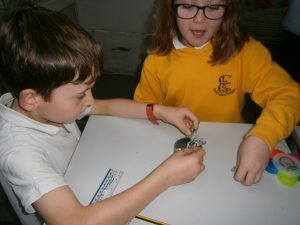 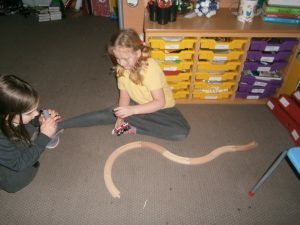 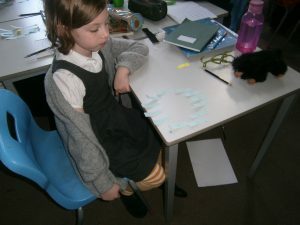 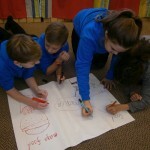 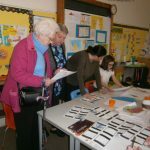 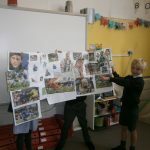 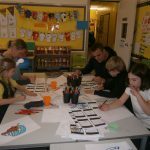 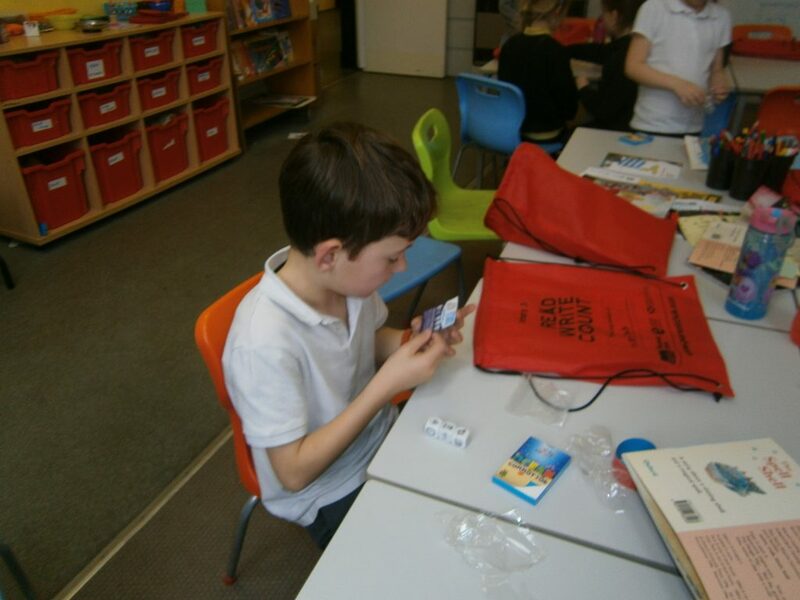 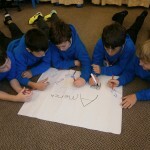 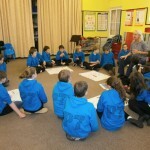 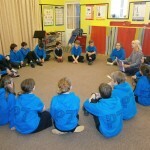 The research involved working with several classes of children from various schools across the UK, including our school. 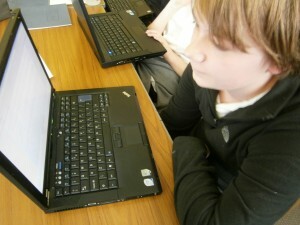 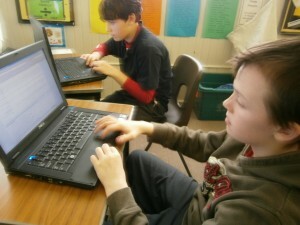 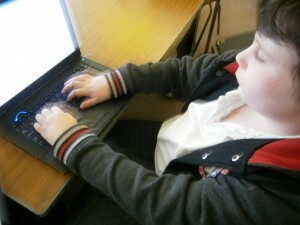 In the research, a simple questionnaire was used to help understand children’s feelings and experiences of cyberbullying. 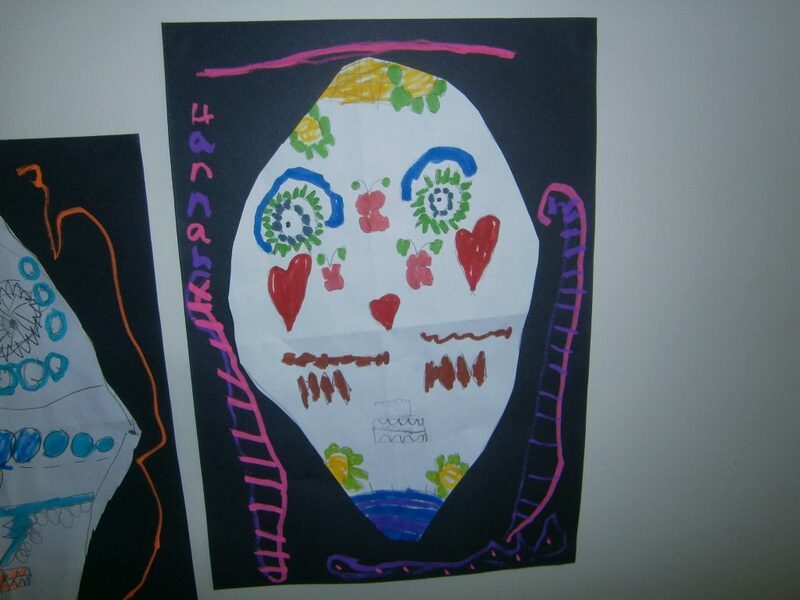 The data was kept anonymous and confidential to preserve the children’s identity: neither the school nor the individual involved was identified in the research. 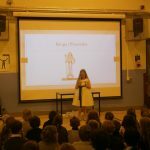 The children’s answers will only be used in order to help stop cyberbullying and to make the school and community better for everyone. 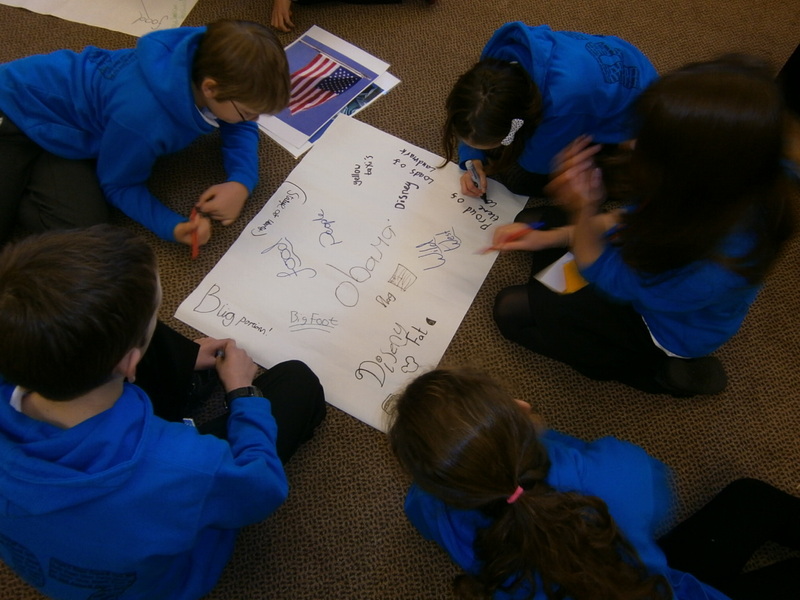 Thank you Primary 7 for trying to make the world a safer place! 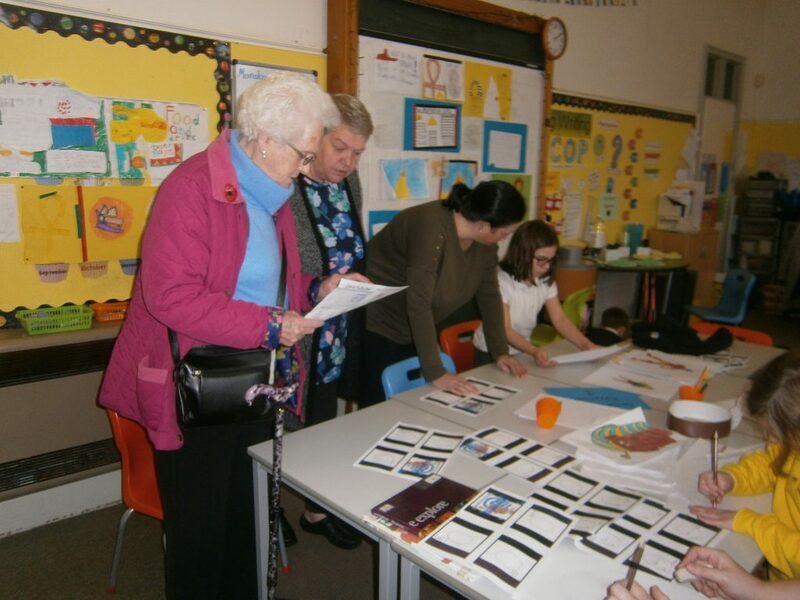 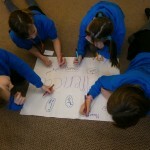 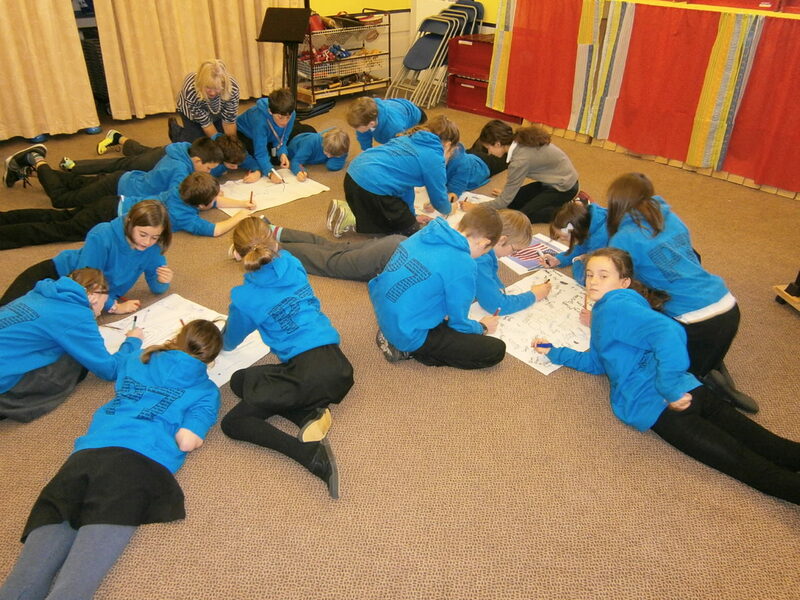 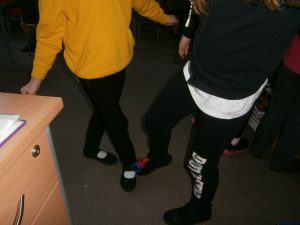 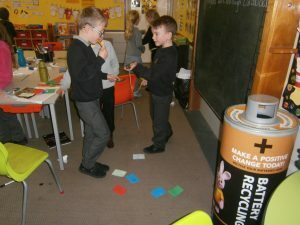 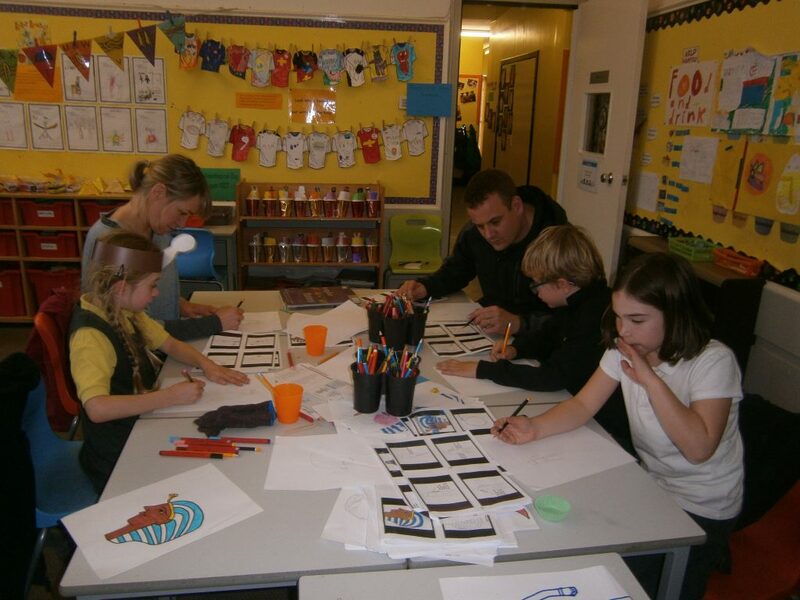 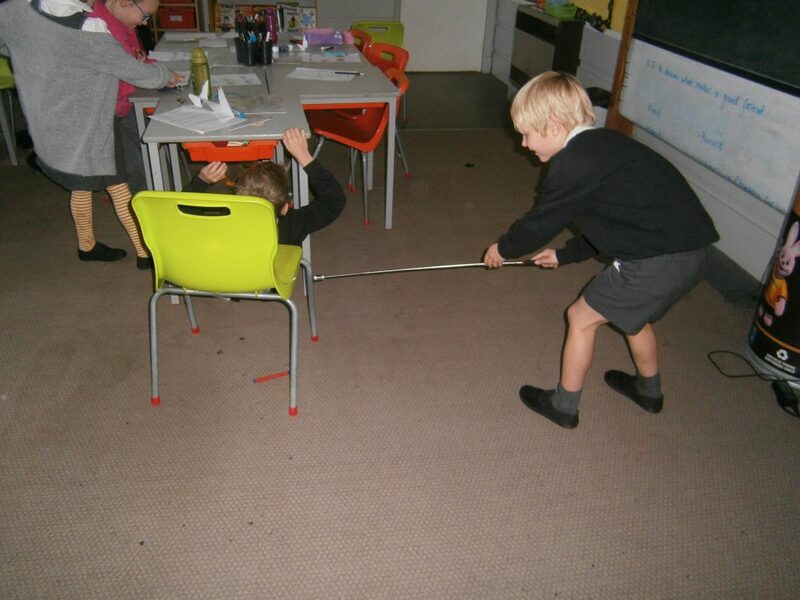 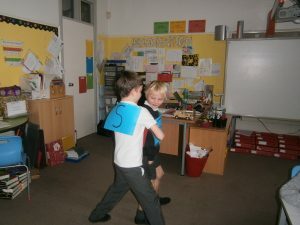 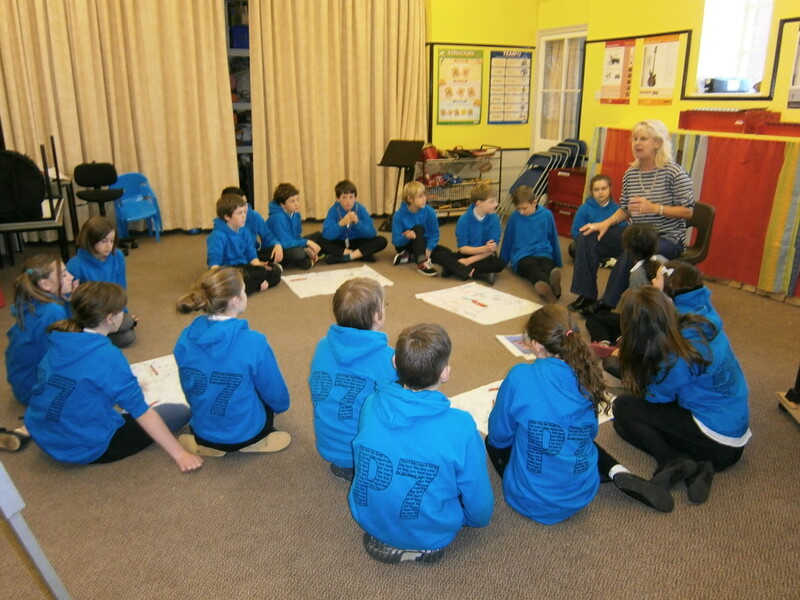 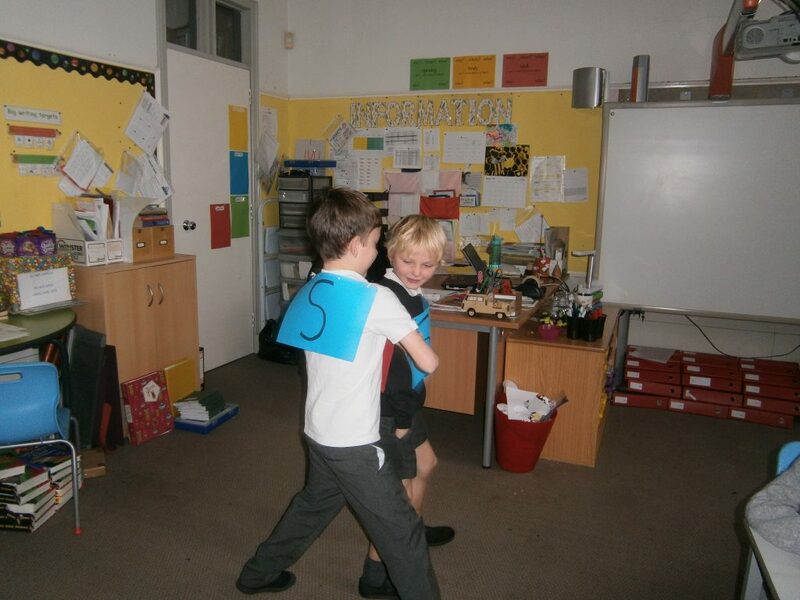 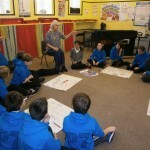 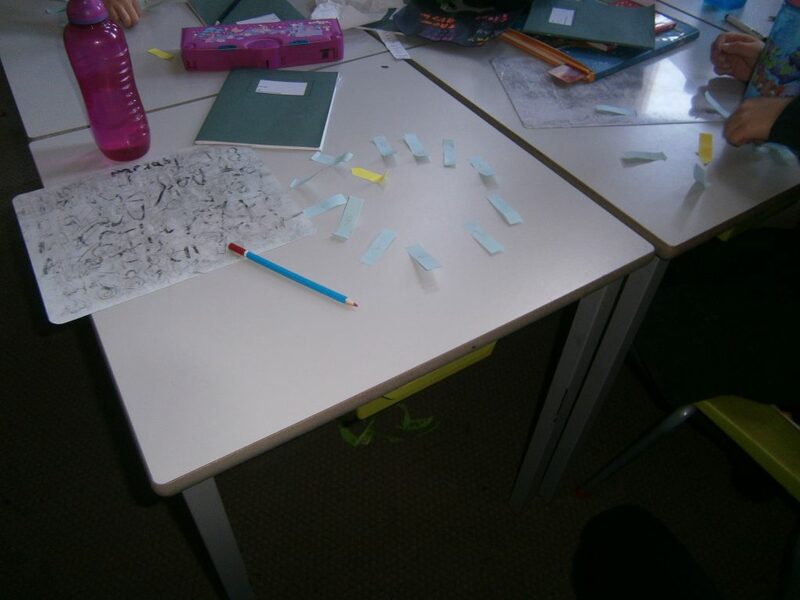 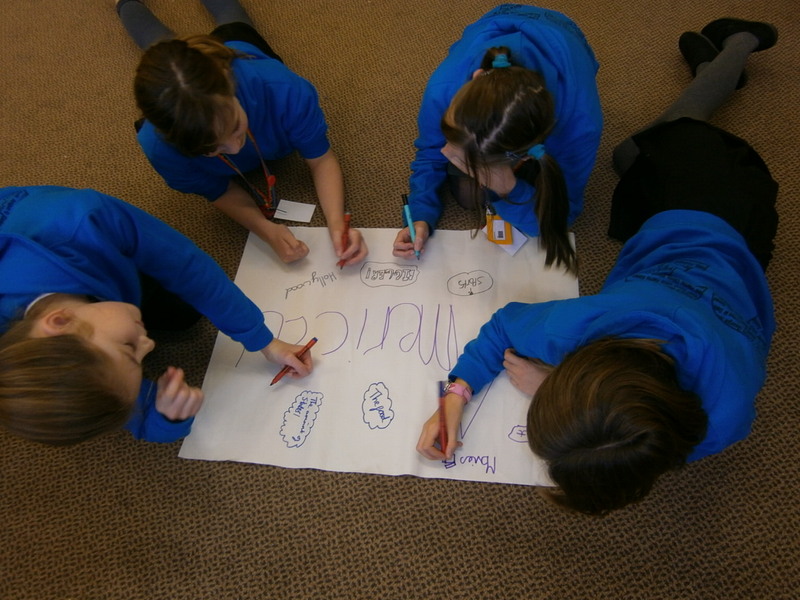 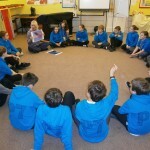 19th-23rd November was anti-bullying week and we had a range of activities to raise awareness of the subject. 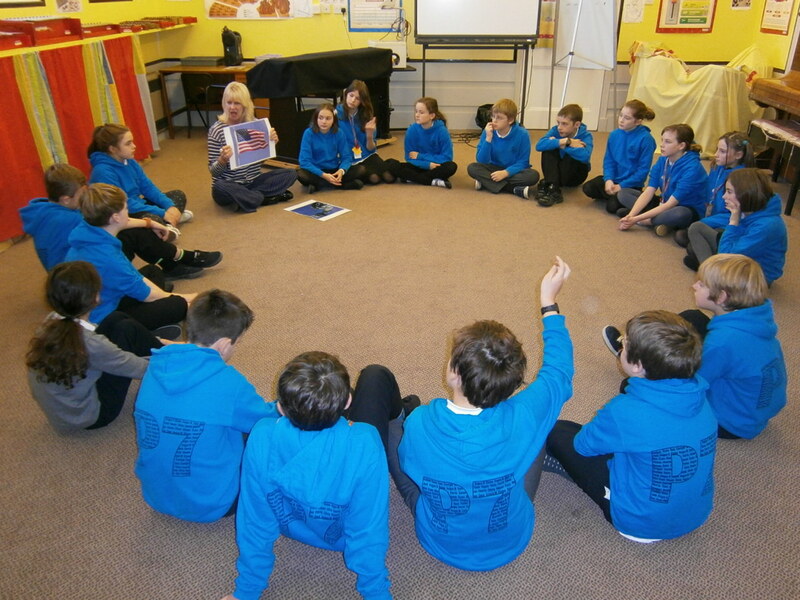 Every class had a talk from PC Kev Hughes, our Community Policeman and classes from P3 to P7 took part in a drama workshop organised by Helen Peat, drama artist in residence at Dunbar Grammar School. 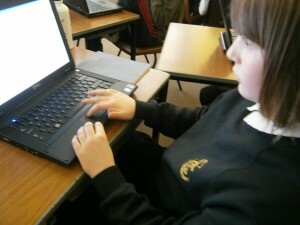 Helen was assisted by two S4 pupils from DGS on work experience. 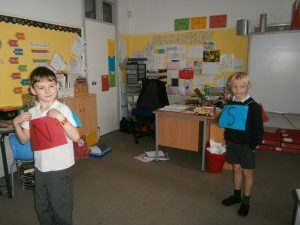 Work took place in classes during circle time and we held a whole school anti-bullying assembly. 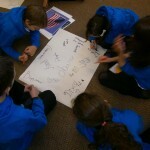 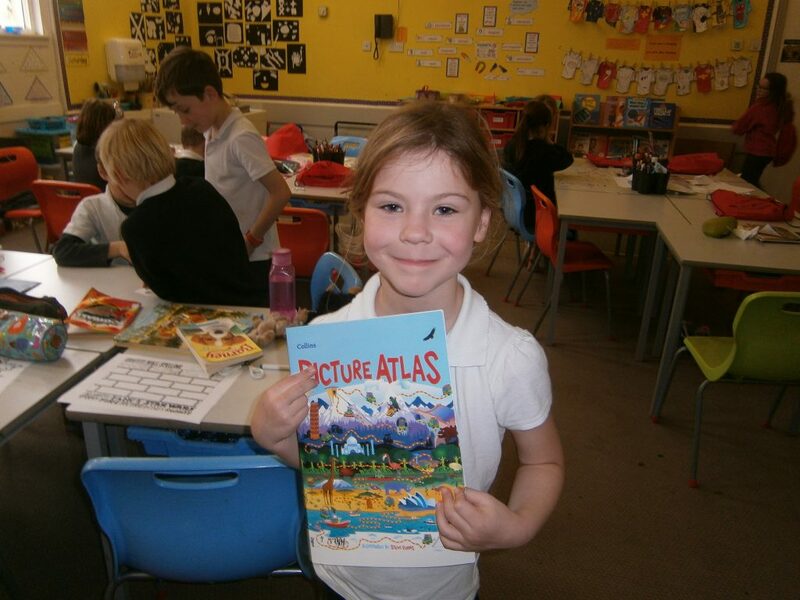 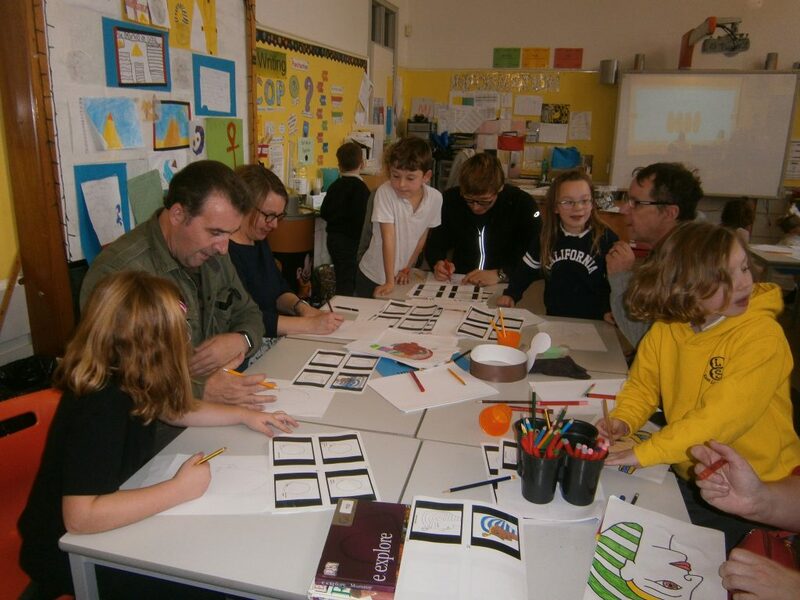 Scottish Government leaflets for parents and children were sent home and the children have been invited to enter a poster competition.